During the September quarter, sales in the international markets was "muted" due to currency devaluation headwinds in the key overseas markets. The Dabur India stock closed lower in trade today after the firm reported a 4.10 per cent rise in consolidated net profit at Rs 377.55 crore for the second quarter ended September, 2018 helped by growth of the core business in the domestic market. However, Macquarie in a note said Q2 earnings were a miss mainly led by lower margin in international business. During the September quarter, sales in the international markets was "muted" due to currency devaluation headwinds in the key overseas markets. 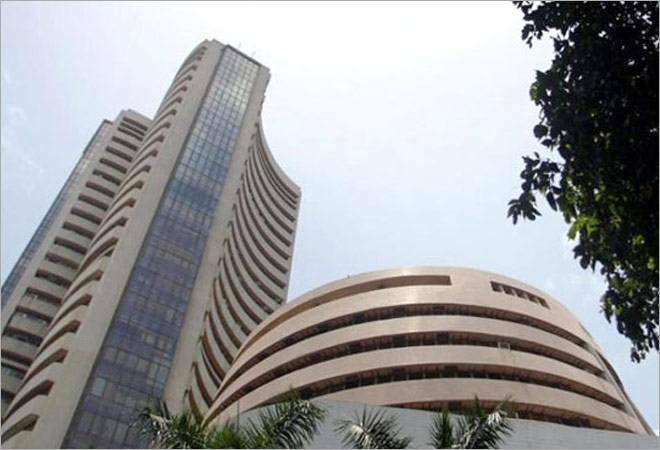 The stock fell up to 4.04% or 15.6 points to 369.80 on the BSE. It closed 3.81% or 14.70 points lower at Rs 370.70 on BSE. The stock has been losing for the last three days and has fallen 9.50% in the period. The stock has gained 6.23% during the last one year and gained 6.08% since the beginning of this year. The firm's earnings fell short of estimates by Motilal Oswal too on most fronts. Consolidated sales rose 8.5% YoY to Rs 2,130 crore (estimate: Rs 223o crore). Earnings before interest, tax, depreciation and amortisation increased 7.4 % YoY to Rs 450 crore (estimate: Rs 470 crore). Adjusted profit after tax rose 4.6% YoY to Rs 380 crore (estimate: Rs 390 crore). The FMCG major reported a net profit of Rs 362.67 crore in the July-September quarter a-year-ago, Dabur India said in a BSE filing. Total income during the quarter under review, was up by 7.97 per cent to Rs 2,206.18 crore, as against Rs 2,043.25 crore in the corresponding quarter a year ago. Dabur's total expenses were at Rs 1,732.80 crore as against Rs 1,592.43 crore, up 8.81 per cent. Its revenue from consumer care business was up by 10.03 per cent to Rs 1,776.66 crore in the second quarter of FY 2018-19 as against Rs 1,614.69 crore in the corresponding quarter a year ago. Revenue from food business was at Rs 289.43 crore, up 2.33 per cent as against Rs 282.82 crore in the year-ago period. Revenue from the retail business stood at Rs 28.33 crore during the quarter, up by 6.94 per cent, as against Rs 26.49 crore. Macquarie cut target price for Dabur stock to Rs 412 from Rs 493 and cut FY'19 volume growth expectations to 11% from 14%. It also cut its FY'19-21 earnings estimate by 5-6%. HSBC said Q2 sales/earnings missed consensus by 3-6% due to weak domestic volumes and cost pressures in international business; cut target price to Rs 460 from 490, retained "buy" rating on the stock. Dabur's Q2 revenue, EBITDA and PAT which grew y/y 8.5%, 7.4% and 4.1%, respectively, came slightly below our estimates, said Jefferies and cut target price to Rs 460 from Rs 520. It maintained its "buy" call on the stock. Deutsche Bank said sales was hit by shift of festive sales to Q3; gross profit margin contracted 75 bps year-on-year to 49.4% due to high input costs. It cut price target to Rs 475 from Rs 525, and reiterated "buy" rating on the stock.